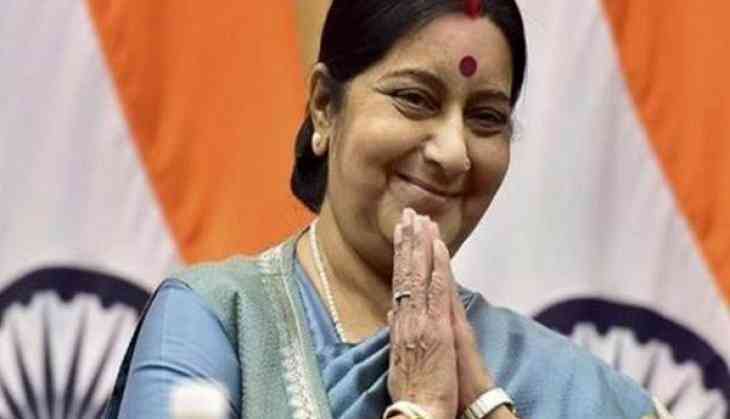 External Affairs Minister (EAM) Sushma Swaraj on Tuesday said that the ministry has requested the Government of Nepal to provide army helicopters in order to evacuate stranded Indian nationals along the route of the Kailash Manasarovar Yatra. "We have requested Government of Nepal for army helicopters to evacuate stranded Indian nationals. #IndiansStrandedInNepal," Swaraj said on Twitter. In a series of tweets, Swaraj said that the Indian Embassy in Nepal has deployed representatives in Nepalganj and Simikot to provide help to the stranded pilgrims at Kailash Mansarovar Yatra. "Indian Embassy in Nepal has deployed representatives in Nepalganj and Simikot. They are touch with the pilgrims and ensuring that food and lodging facilities are available to all the pilgrims. /2 #IndiansStrandedInNepal," Swaraj said. The Minister also confirmed that about 525 pilgrims are stranded in Simikot, 550 in Hilsa and another 500 in Tibet side. "Indian pilgrims stranded in Nepal - There are about 525 pilgrims stranded in Simikot, 550 in Hilsa and another 500 in Tibet side. #IndiansStrandedInNepal," she said on Twitter. She further assured people that the concerned officials are in constant touch with the pilgrims while also ensuring that food and lodging facilities should be available to all. Meanwhile, a proper medical help is being provided to the needy in Simikot, she added. "In Simikot a health check up has been done on all the elderly pilgrims. They are being provided required medical help. In Hilsa we have requested police authorities for necessary assistance. /3 #IndiansStrandedInNepal," she added. She further said, "We have set up hotlines for pilgrims and their family members who will provide information in Tamil, Telugu, Kannada and Malayalam languages. /5 #IndiansStrandedInNepal". However, the Embassy of India in Kathmandu has assured all possible support to pilgrims stranded in Nepal following a heavy downpour. According to the sources, the local airlines operating in the route have been requested to ensure availability of extra aircrafts to have maximum possible sorties as soon as the weather clears up so that all stranded pilgrims can be taken back home.